If somebody asked you what your perfect morning activity would be, what would you say? Would you say brunch followed by a long walk by the beach or the riverside? Or maybe a long bike ride, or run, along a scenic route followed by a pub lunch? Well those are two of my ideas of a great morning. But THIS Friday morning, I did something even better, that I wish I could do every week! 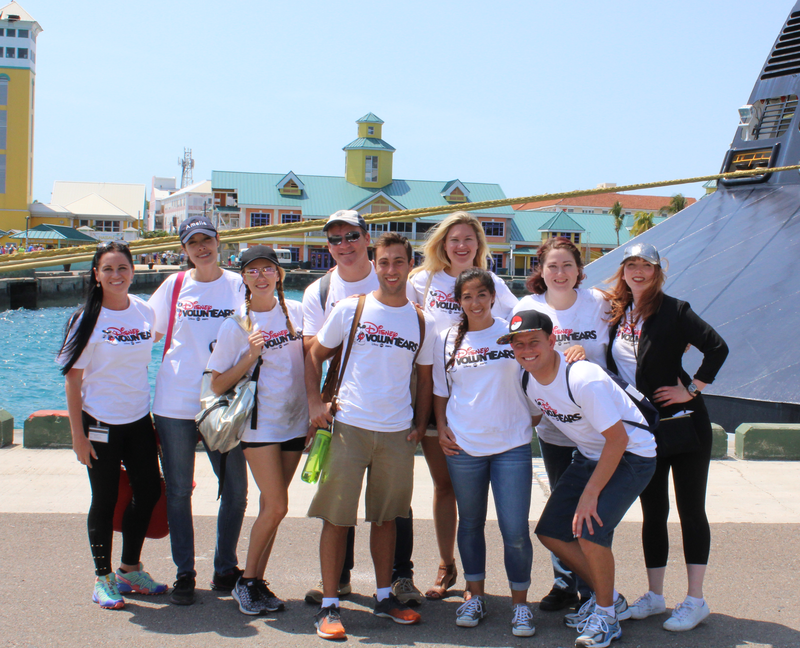 Yesterday morning we donned our Disney ‘Voluntear’ shirts and headed over to The Bahamas Humane Society in Nassau for a morning of playing with puppies, cuddling kittens, and making friends with a donkey and a giant pig. We spent the morning bathing puppies with skin conditions, walked the bigger dogs, and I helped in changing the cages of a couple of sets of puppies (two of which were still young enough to be bottle fed). I know what you’re thinking… How is it volunteering when it sounds like the best job in the world?! Needless to say I felt the words of Joey Tribbiani come to me that ‘no good deed can be selfless’, because you will always feel good for helping someone. And I definitely had all the endorphins racing around my brain as I bathed (as I so named them) Owlie, Spunky and Baby. 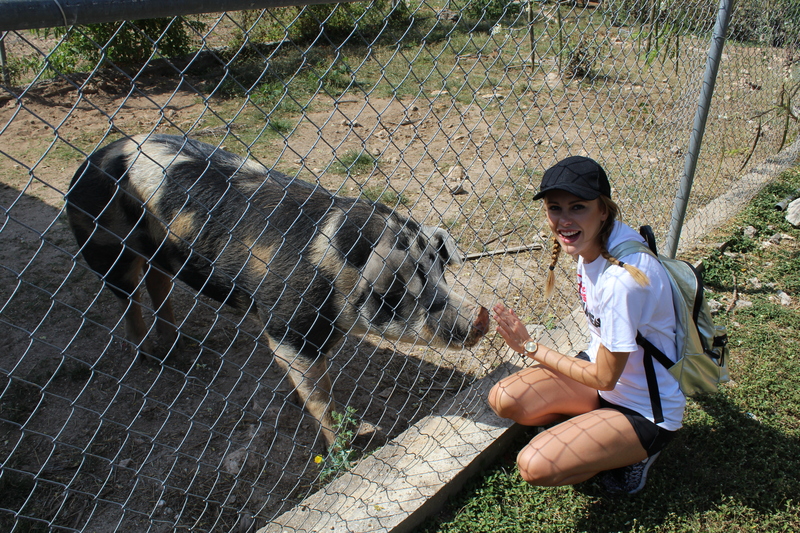 The animals are kept in large cages, some in pairs (or in the case of the smaller animals, a few to a cage), only getting to come out and play when they are taken for walks. 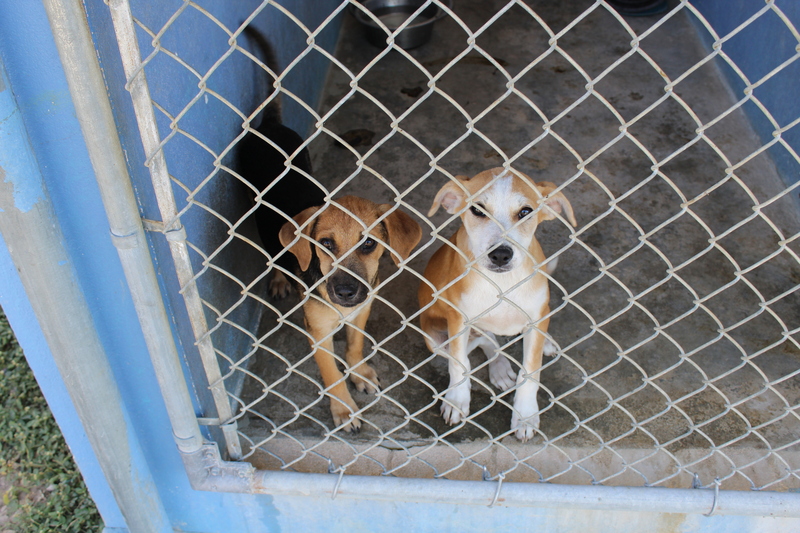 There is also a vets attached to the premises, so the animals are in good hands until someone comes to adopt them. Crazily, the animals sell for as little as $10 for a big dog, $50 for a puppy, $10 for a kitten and $15 for a full grown cat! Of course, these low prices are there because they want people to adopt these poor animals and give them a good home. The animals were so gorgeous and friendly, (except for one large dog that did not take too kindly to you coming near his cage) and it was heartbreaking to leave them behind. If I had my way, I’d buy a big house with lots of land for them all to roam free in the day and cuddle with me in front of a log fire every night. Living in a fantasy world? Yep, sure am! If you’re looking for a new pet, I would really recommend checking out a nearby RSPCA animal shelter before going to a private breeder. Not all the animals have been abused or have issues, they are all just out on their luck and need a loving home. And the ones who have been abused need a loving home the most! Dogs bring nothing but joy, in my personal experience, and they deserve to be loved unconditionally the same way that they do for us. I think I can easily say that it was the BEST. DAY. EVER! 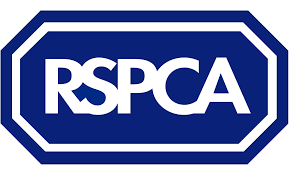 To find your nearest RSPCA click the badge below. Previous Post Things To Do TODAY! Next Post Tea And Cake. Oh, So British. Oh, So Good Though! That’s such an awesome way to travel… Do you find activities like that often when you’re on the road? Looks like they loved thier bath!! This was actually my first time doing something of the like! I can’t wait to find other places like this!